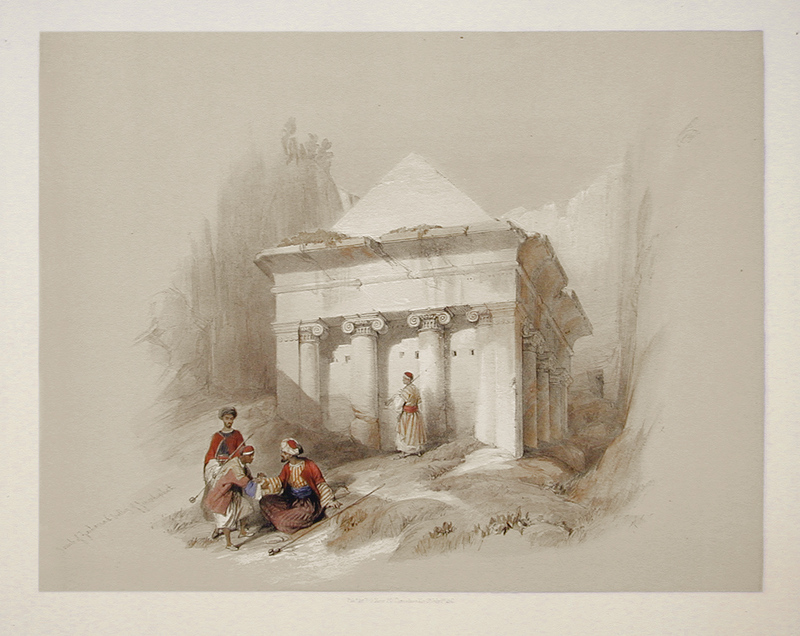 Comments: A half-folio of another of the four tombs in the Valley of Jehosephat, also bearing some similarity to the architrecture of Petra. Price: $225 uncolored, $300 colored. Title: The Tomb of Zecharia. Condition: Excellent. Accompanying text below image and on verso. Image: 9 3/8" x 12 1/8 "